This herbal remedy has a long tradition of use by Native Americans. Like many of the medicinal herbs now used in the U.S., goldenseal root was introduced to the early American settlers by the natives. They prized the herb for its healing properties with common ailments such as sore eyes, skin issues, and digestive disorders. Some tribes even mixed the root with bear grease to create an insect repellent. It wasn’t until the 18th century that the medicinal value of this herb really rose in popularity. At the time, its most common use was to help stimulate digestion and improve appetite, as well as to treat inflammation of the skin and treat eye conditions such as conjunctivitis. While it may have taken some time to rise in popularity, when it did, it became one of the most popular herbal remedies on the American market. Today, the herb has kept its appeal and has a much broader medicinal usage. Much of the medicinal benefits in this plant are due to the main active compound in goldenseal, berberine. In test tubes, berberine has been shown to kill all sorts of pathogens, and particularly E. coli, which is the primary culprit behind both diarrhea and urinary tract infections. This is why you’ll see goldenseal used to help kill a wide range of germs, such as those that are linked to candida (yeast) infections, parasites, tapeworms, and even Giardia. And because of its antibacterial properties, berberine has even been used as an external disinfectant. Goldenseal root is not only used to kill pathogenic infections, but it is a multi-purpose type of herb that provides immune system support and cleanses vital organs. Goldenseal root helps promotes the functioning capacity of the heart, the lymphatic and respiratory system, the liver, the spleen, the pancreas, and the colon. For instance, goldenseal’s active compound, berberine, may activate white blood cells, making them more effective at fighting infection and strengthening the immune system. These are the primary reasons you’ll find goldenseal as an ingredient in Jon Barron’s Blood Support formula. It is also typically found in herbal remedies for hay fever, colds, and flu, and is often taken at the first signs of respiratory disorders to help prevent further symptoms from developing. It is sometimes used to reduce fevers and relieve congestion and excess mucous since it can help soothe irritated mucus membranes, which in turn helps relieve symptoms in the eyes, ears, nose, and throat. Like most natural remedies, Goldenseal is not just an anti-pathogen or immune booster, but is also known to aid digestion and soothe an upset stomach. Taken internally, goldenseal root increases digestive secretions such as saliva, bile, and digestive enzymes. Since it stimulates appetite, it is effective when a low appetite is being experienced, and acts as a mild laxative, while assisting with peptic ulcers. It also astringes the mucous membranes that line the gut, and helps modulate the body’s natural inflammatory response system, which is why it is sometimes used as an anti-inflammatory. In addition, it may control heavy menstrual bleeding by means of its astringent action. Goldenseal may be purchased in salve, tablet, tincture form, or as a bulk powder and is often used to boost the medicinal effects of other herbs it is blended or formulated with. However, Goldenseal dosage should be determined on an "as needed" basis since its antibiotic action, if taken continuously, may upset the natural balance of intestinal flora - and lead to a state of dysbiosis. 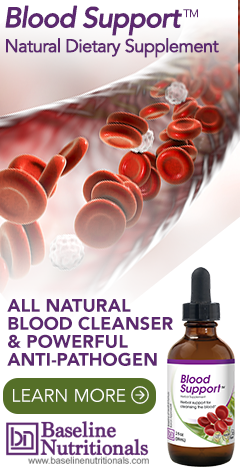 Learn more about blood cleansing formulas that include goldenseal root. When it comes to antibiotics is goldenseal as indiscriminate as silver or somewhere between silver and garlic? Colloidal silver is effective. But Jon doesn't recommend it for internal use. If taken in sufficient quantity, colloidal silver can cause agryria, an irreversible blue/gray discoloration of the skin. Although rare as the result of using colloidal silver, agryria in colloidal silver users has definitely been documented in more than a few cases. Since there are equally effective alternatives, why would you risk it? It's also worth noting that the condition, although not harmful, is irreversible. Heavy metal chelation formulations will not correct the gray color of your skin. Also, if you do use it, be sure to take probiotics after you are done taking it to rebuild your healthy gut bacteria. Thank you for informative article. It works amazingly well and quickly. I am a full believer of Golden seal for antibiotic uses and herbs in general. I am just a beginner and very interested in learning how to find, process, and use the God made natural plants and herbs for health purposes. Yellow Dock root is great too as Golden seal is and Wild Lettuce is awesome as well as Elderberry. I am so hungry for the knowledge you have for plants and herbs to take care of myself and to help others understand. Will you help me understand the uses of plants and herbs? I am 67 years young and I would like to make a difference in life before The Lord takes me home. Thank you!